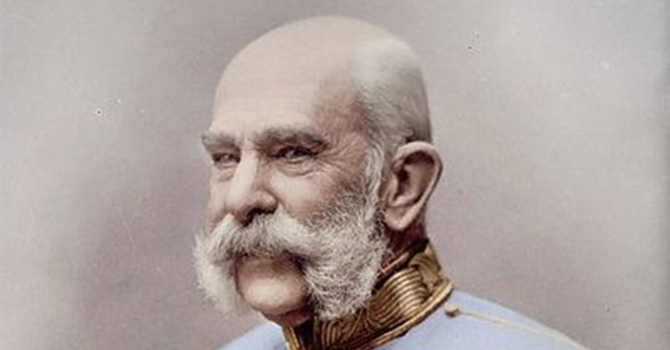 Franz Joseph I of Austria was born on August 18th, 1830, in Schönbrunn, Vienna and has been educated in a military fashion. In 1848 he became the emperor of Austria. His mother wished for him to marry his Bavarian cousin Helena; however, Franz Joseph fell in love with her younger sister Elisabeth, known as Sissi. The monarch visited northern Moravia and Silesia several times as part of his imperial inspection tours. On one of his trips to the Těšín area of Silesia, the local mountain dwellers welcomed him in traditional goral folk costumes endemic to local villages. A celebratory bonfire was lit at the top of Lysá hora to commemorate this rare visit. In Český Těšín, the emperor spent some time at the military base, located in the area of today’s Adam Mickiewicz Theater. The imperial head also visited the construction site for the evangelical hospital (today’s Silesian Hospital). 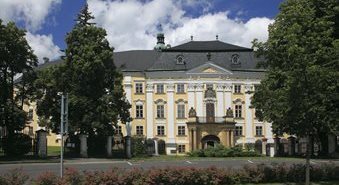 The emperor visited the steel mills in Třinec, sojourned in Karviná at the Fryštát chateau, hosted by count Jan Larisch-Mönnich. 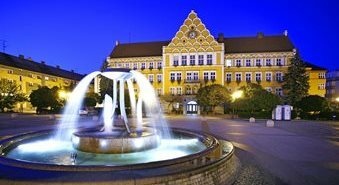 In 1898, a picturesque little art nouveau town square in Ostrava was named after the emperor – today’s Jirásek square, better known as Kuří rynek (Chicken market). 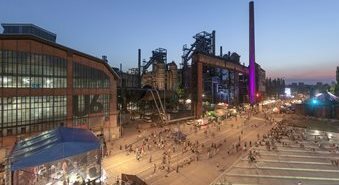 He then paid a visit to the Vítkovice steel mill. Franz Josef I sponsored the synagogue in Krnov by donating 500 golden koruna. While visiting the church organ manufacturer Rieger Kloss in Krnov, the emperor bestowed the knight cross unto Otto Rieger and awarded the factory with the title “imperial and regal court supplier”. The emperor also visited the Bruntál chateau and gave the city council approval to found a local high school. The Austrian monarch passed away in the midst of World War I on November 21st, 1916. His health was too weak to conquer the pneumonia he was fighting.